Hi Katie – wow, you are really making up for lost time, wish I was a speedy sewer! 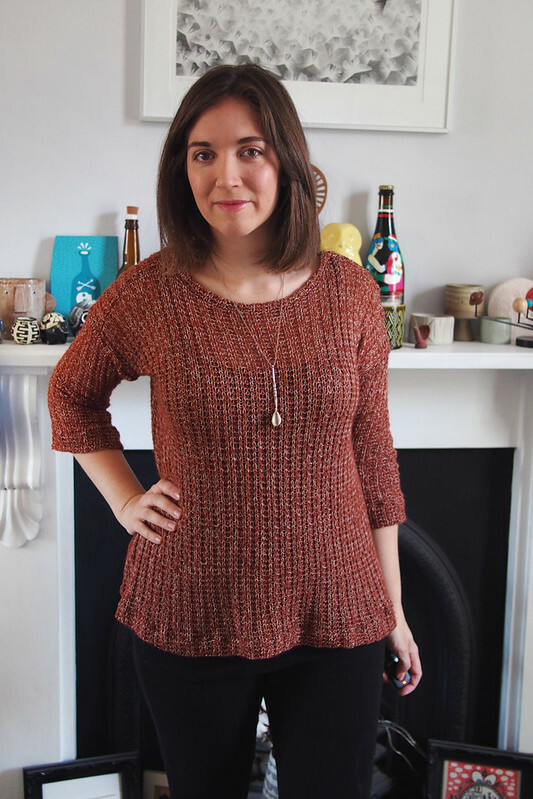 Like them all, especially the gorgeous rust sweater, what a great colour and fabric! Excellent staple wardrobe additions. As soon as I stop being a poor student, an overlocker it the FIRST thing I’m going to buy. I honestly couldn’t cope without one – it was tough when it was in for repairs! It’s only a cheap one too. Not sure how it would work out with the shape of those sleeves on the first two…and I haven’t tried it really as a pattern alteration (just as a RTW alteration), but when necklines are too big and gapey like that, I always take in the back seam at the neck, and then taper out (depending on how the bust/waist fit). If you do something like that…slash the back pattern piece and taper it in an inch or two at the top..then re-draw the front neckline curve so it will meet up..you might be okay! That’s pretty much what I did on the rust one, and while it’s better it still wants to slip sideways rather than stay in the middle like a nice scoop neck. Bit of a tricky one, but I think the straight drop shoulder is the issue. I run scared of sweater knits like your first one, so think you’ve done amazingly well to tame it. I have an irrational (or maybe not so) fear of it unravelling before I get to sew it. Great job! Oh yeah it would have totally disintegrated given half a chance. I made sure to not handle it much or put any strain on it before the seams were safely sewn up. They all look lovely, but I particularly like the rust sweater knit. Nice job! I love all of these – yay for easy/quick serger sewing! 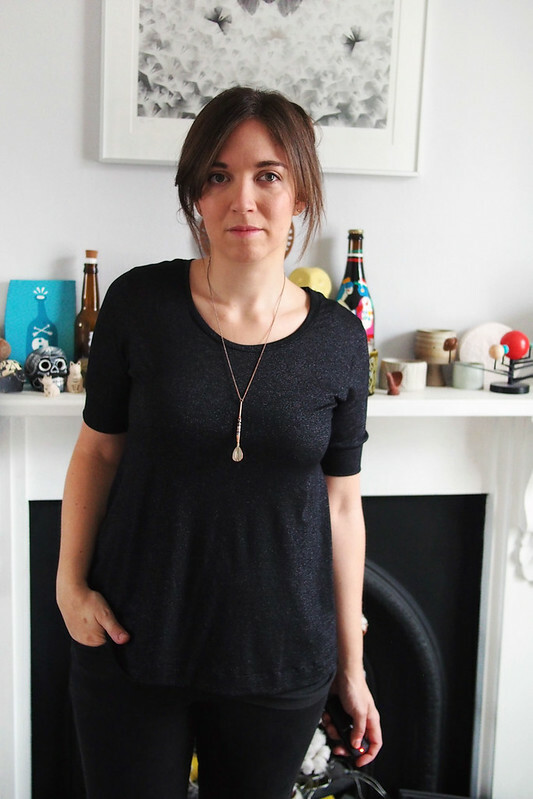 I am totally stealing your Plantain version with the short sleeve cuff – so cute! Love these tops! I would think that shifting the shoulder seam forward on the hemlock would fix the back pull you’re talking about. I’ve noticed the same thing but haven’t bothered to do anything about it! I think considering I’ve made 3 or 4 already (and will probably make more) it’s worth fixing! Oh you know I love a basic assembly line! 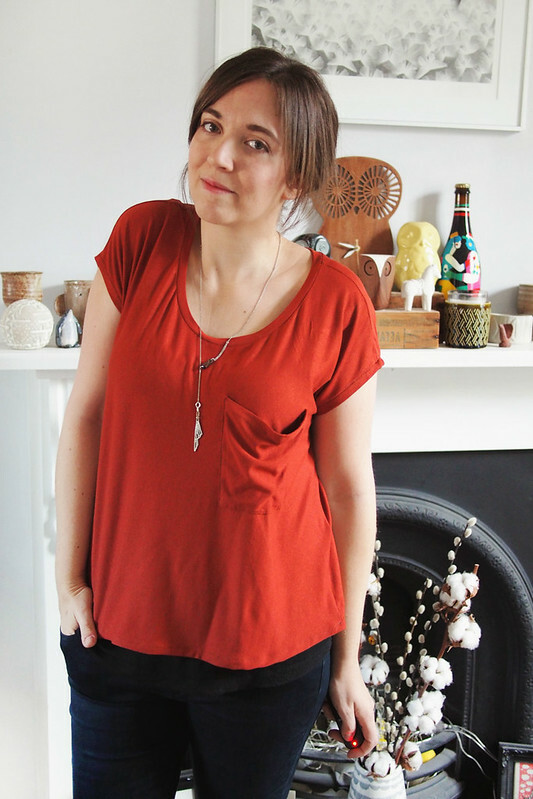 Have you tried the Tessuti Mandy tee yet? Also free and it’s got a really great neckline that’s just a turn and top stitch. I took about a inch out of the centre from and centre back pieces (so a total inches across front and back) which narrowed both the boat neck and the total boxy width and it’s a great fit on me (34 inch bust, slightly narrow shoulders). I was eyeing that up after seeing True Bias’ one, perhaps I’ll give it a go. It’d be a good basic style to have a TNT of so worth getting a good fit. I love the plantain pattern – I like your sleeves on the black one! 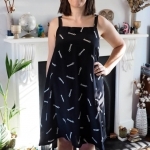 The hemlock in on my list of ‘must sew soon’ things! Congrats on the return of your overlocker! These tops are great, and I totally agree that basic wardrobe pieces like these tend to get the most wear. I really love the rust color of the last one – it’s so rich and looks great with your skin tone. Happy overlocking! Thanks! I feel like it’s a good colour for me too. These are all SO wearable and so cool! I really, really, really like that orange color! So good! I need to revisit the Plantain tee, I think. I made one version in a fabric I hated and haven’t tried again. I think I need to reconsider after seeing yours! Oh, I love all of these! It’s so cool that you now know what you wear most often and can sew garments accordingly. I especially love the sparkly plaintain and the orange zippy top. I definitely need to have a go at making some basic knits! Yeah, it’s a pretty cool thing to figure out! No more throwing out handmades, I hope. OK – you’ve upped the Hemlock from the middle to the top of my to do list with those great cuffs on the blue one! Totally want to make all of these! Love wearing basics. Got the Konmari bug too after reading your post about it, such a great book and got rid of so much stuff already. I have made the Zippy top before but not in a stretch fabric. Did you go down a size for this or even more? Also, desperate to find some sweater knit like you have used and will check the website you listed. Do you know of any other places that sell similar? 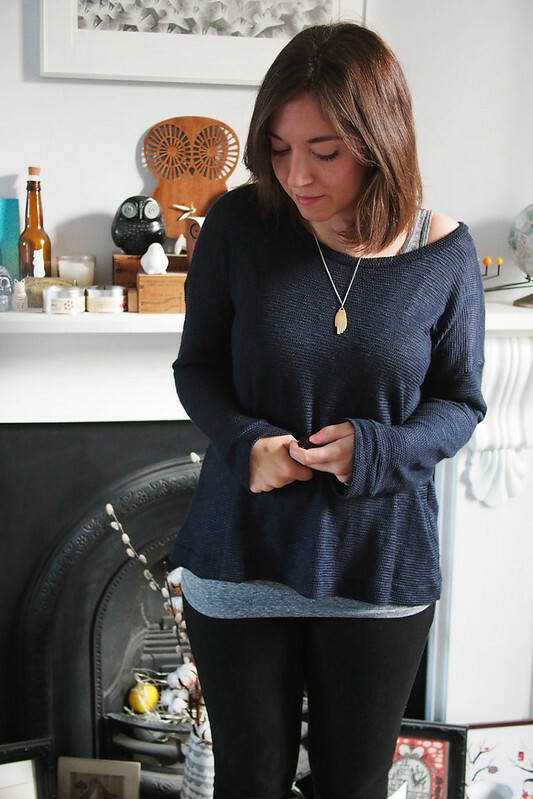 I didn’t size down because I quite like an oversized slouchy look. Good sweater knits are tricky to come by but try fabric.com and girlcharlee.com (both in the US but ship to the UK) myfabrics.co.uk, eBay, or Cloth House’s shop if you are near London. Katie Thanks to you I have ‘Kondoed’ my bookshelf, wardrobe next then? Ps I have linked to you too hope thats ok? I’m a 38 in Deer & Doe I think – it’s already tailored for us pear types!